Use Gimp to center a Google profile or avatar picture. I got the company set up on Google plus the other night. There’s nothing there right now, but I figured I may as well do it sooner than later. A few things have changed over there, and the avatar or profile image is a little different. I thought I’d do a quick Gimp tutorial on centering a profile picture or user avatar on Google Plus. The profile picture is still 250 x 250 however the image is circled now, so friends, family, and followers will only see the center of the image posted. This easy tutorial will teach you how to center the image just right, and if you use something other than Gimp like Photoshop, or Paint Shop you should be able to make this work as well. Open Gimp or the image manipulation program of your choice and make a new document, 250 x 250. Now use your fill tool and select the color you want to use as a background and click inside the document. Now open up the image you want to use as the profile pic as a new image or document. Click copy, and then paste it as a new layer in the profile document. Press the scale tool and scale the image to 250 x 250. Now with the ellipse tool start at the upper left hand corner of the document and drag it down to the bottom right hand corner of the document. This should give you a circle of dotted lines or marching ants that just touch each side of the document. You’re really just using the ellipse tool as a guide, to place your image in. The circle is exactly how your image will be centered. Now click on the move tool, center your image, and your done. At the top of your window, go to Select, and click none. This removes the ellipse, and then click file, export, and name the file whatever you_want.jpg. Your done, you now have a perfectly centered profile or avatar pic for Google Plus. Here’s how mine came out. You can see it in action here. While you’re there make sure to add us if you found this helpful. Hoped this helped and thanks for reading ! 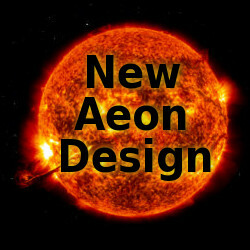 This entry was posted in Gimp, Google Plus, graphics, Social Networking, tutorials and tagged avatar, Gimp, google plus, profile picture, tutorials on July 26, 2013 by NewAeon.